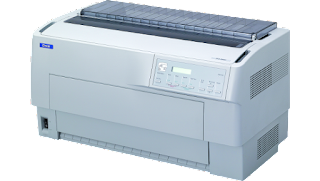 Epson DFX-9000 driver is an application to control Epson DFX-9000 dot matrix printer. The driver work on Windows 10, Windows 8.1, Windows 8, Windows 7, Windows Vista, Windows XP. You need to install a driver to use on computer or mobiles. For more information about this driver you can read more from Epson official website. At the execution of this wizard, you have to connect USB cable between Epson DFX-9000 printer and your computer. So wait for that and connect only when it asks you to connect. It will detect the Epson DFX-9000 printer and go ahead to next step if all goes well. Description: This self-extracting file contains the Epson DFX-9000 Printer Driver v5.0 for Windows Vista 32-bit. After installing this printer driver, it is highly recommended that you download and install the Epson Status Monitor 3, also found on this page, to allow monitoring of printer status. Description: This self-extracting file contains the Epson DFX-9000 Printer Driver v5.0 for Windows Vista 64-bit. After installing this printer driver, it is highly recommended that you download and install the Epson Status Monitor 3, also found on this page, to allow monitoring of printer status. Description: This self-extracting file contains the Epson DFX-9000 Printer Driver for Windows XP and 2000 (Printer Driver v1.0aE, Core Driver Disk v1.0). This file self-extracts to your hard drive and is placed in c:\epson\epson11451. Description: This self-extracting file contains the Epson DFX-9000 Status Monitor 3 v3.0aE. This file self-extracts to your hard drive and is placed in c:\epson\epson11452. Description: This self-extracting file contains the Epson DFX-9000 Epson Remote Configuration Manager Utility. This utility allows you to add or change printer default settings. This file self-extracts to your hard drive and is placed in c:\epson\epson11457. 2 Responses to "Epson DFX-9000 Driver Download Windows"
We are so sorry we just provide Epson driver and we don't know about price.